For many of us, aging seems to have become much easier than it was even a generation ago. I hope that you all will back me up on this statement. I know that each and every birthday, there are more candles on my cake than ever before. However, when I look in the mirror, I don’t see an old person looking back at me. Yes, there are certainly more wrinkles, but I always try to keep a twinkle in my wrinkles by having a positive attitude about aging and incorporating laughter and maintaining an enthusiasm for life. 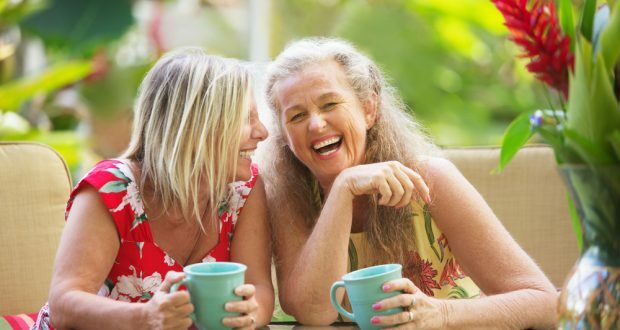 Laughter can keep you young and in good health. Vigorous laughter is like an aerobic exercise and can speed up your heart rate and works all over the body; it decreases stress hormones; boosts our immunity; combats depression; and relieves pain. It certainly is one of my favorite forms of exercise. So, try to devote yourselves to pleasurable pursuits that bring happiness and laughter into your lives. I am at that age where I have grandchildren. And, they certainly contribute to my having a lot of chuckles and keeping that twinkle in my wrinkles, too. Laughter is contagious. Make humor a priority in your life and find laughable moments each day to share with your family and friends.